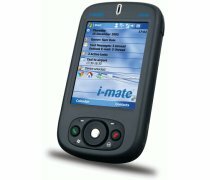 i-mate JAM (also known as HTC Magician) was one of the first very compact Windows Mobile Pocket PC phones and was very popular. i-mate JAMin (also known as HTC Prophet) is a replacement and upgrade model of i-mate Jam with additional features such as Wi-Fi (802.11g), support for EDGE, more memory and Windows Mobile 5.0 OS, beside maintaining the small form factor, 2.0 megapixel built-in camera with macro mode, Bluetooth and quad-band support. MobileTechReview reviewed i-mate JAMin Windows Mobile Pocket PC phone and concluded that good things come in small Windows Mobile packages these days. With so many models to choose from with similar features (and most made by HTC), it’s not an easy choice. For those who put price high on their selection list, a carrier-subsidized smartphone makes the most sense, which rules out the JAMin in the US. However, if you prefer to have a quad band GSM world phone that’s unlocked for use with any carrier, the JAMin is an excellent choice. If you’re an international traveler, you’ll make up the added cost in no time by avoiding US carriers’ overseas roaming prices. For those of you who don’t crave a keyboard but want a full Pocket PC PDA-phone, the JAMin is a strong contender thanks to its bright and sharp display, Bluetooth, WiFi and support for Exchange 2003 push email. It’s not the fastest Pocket PC phone, but speed is adequate and similar to the Wizard and even Treo 700w in some respects.